Dog has an usually loud snore. 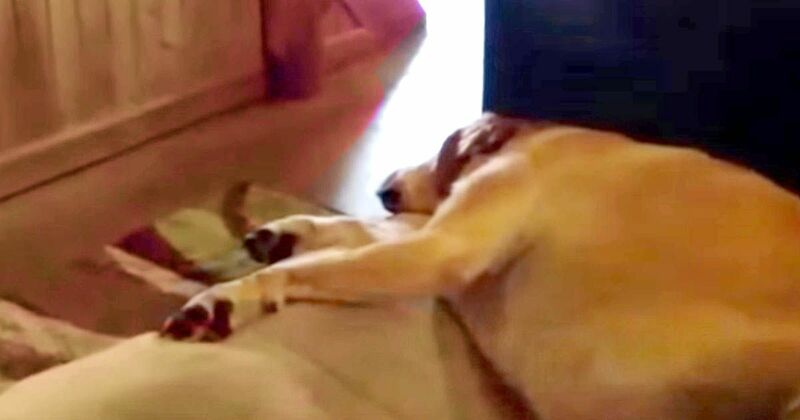 An owner noticed his sleepy Labrador making a ruckus, so he quickly grabbed his camera and hit 'record.' What he captured has been spreading laughs throughout the internet! The Lab snores loudly and his gums flap comically as he does it. The dog almost sounds as if he's impersonating Donald Duck! According to The Labrador Site, snoring in Labs is likely caused by obesity, but it doesn't mean the dog's health is necessarily in danger. It's also possible that the dog is suffering from allergies. If a dog is affected by allergies, the airways can become swollen, resulting in loud snoring.